Easter Trading Hours See below for our opening hours over the Easter holidays. Please make sure to contact your favourite retailers to confirm their opening hours, they may differ. Coles will be open from 1pm on ANZAC day. 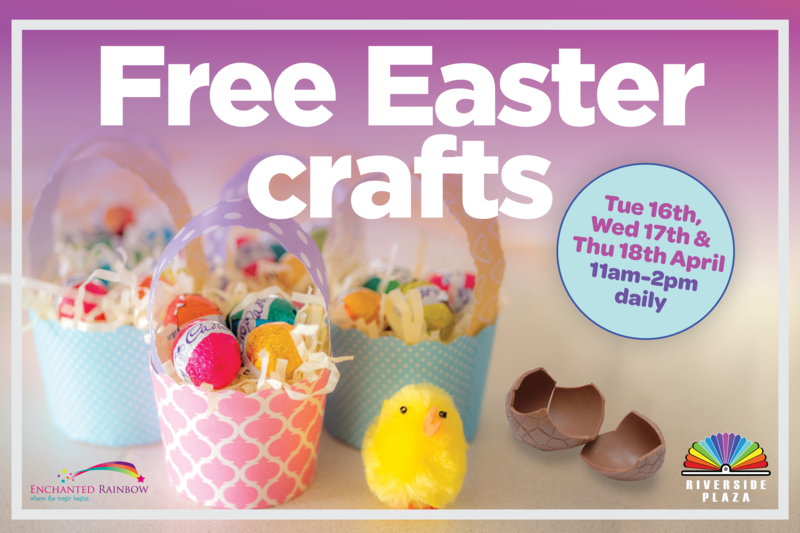 Week One of Free School Holiday Fun – Easter Crafts Keep the kids entertained these Easter holidays with FREE Easter crafts at the Riverside Plaza Tuesday 16th Wednesday 17th Thursday 18th 11am – 2pm daily. 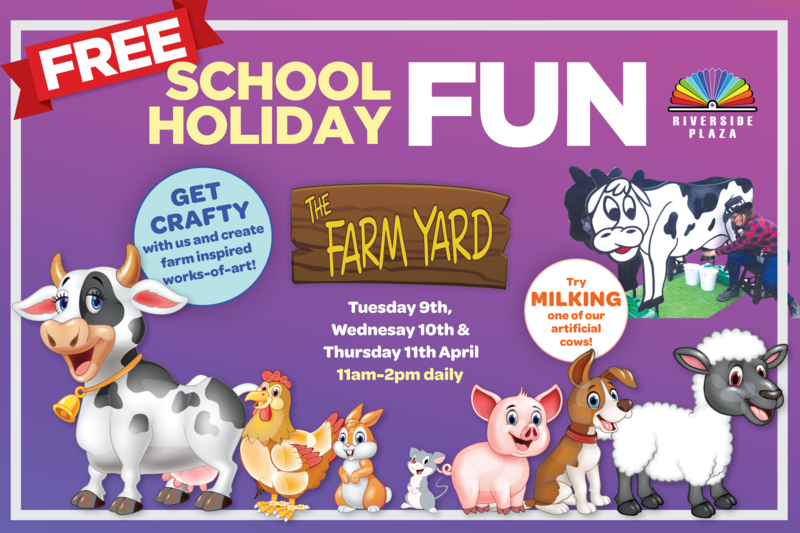 Week One of Free School Holiday Fun – ‘The Farm Yard’ Learn how to milk a cow with our simulator! Or show your crafty side and create farm inspired works of art. Tuesday 9th Wednesday 10th Thursday 11th 11am – 2pm daily. become a VIP member and get access to specials, VIP events, competitions and more. Our Facebook page is a place for unique news, offers and specials. Be part of the conversation! After Mall hours use entrance next to Liquorland. Opening hours may alter on Public Holidays, click here to see more. get access to specials, VIP events, competitions and more.